medieval hoax | Is the Shroud of Turin really some kind of supernatural photographic 'selfie'? Might those be flecks of congealed wheat gluten one sees on the Turin Shroud? Evidence for unique one-off white flour imprinting? Time methinks to refresh this blog’s tagline (and hopefully improve its dismal Google ranking). 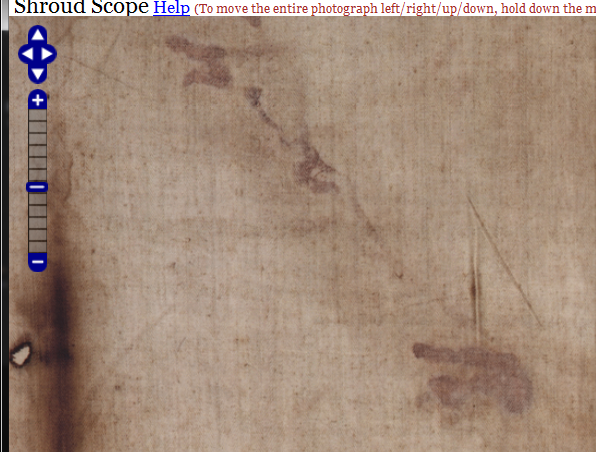 Could this be clinching evidence that the Shroud image is a contact scorch?